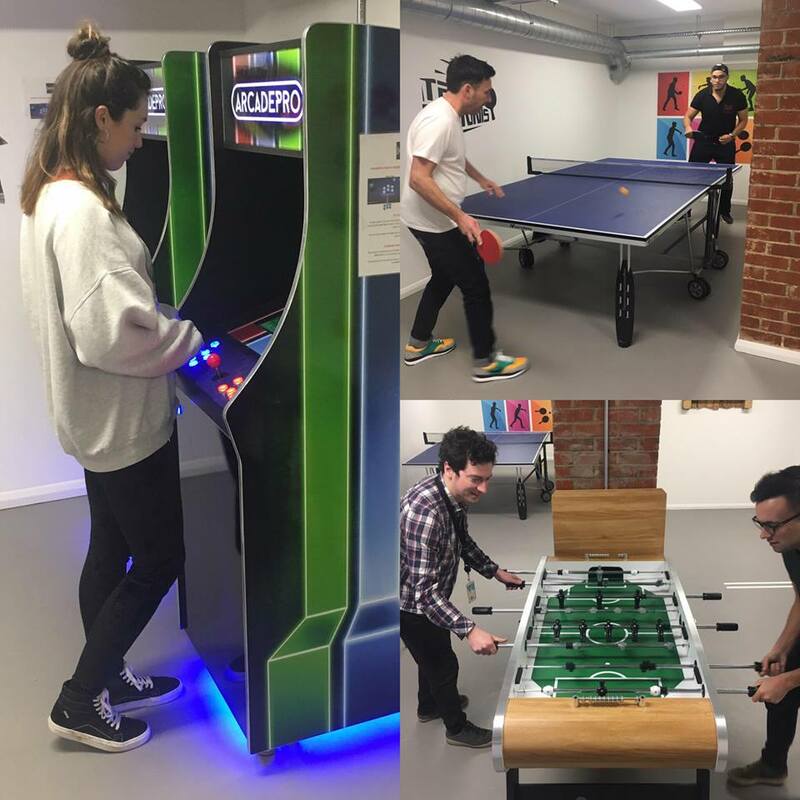 HERE has now added a games room alongside its in-house Friska café, serviced offices and range of meeting room facilities to aid tenant productivity. The room boasts an array of classic arcade-style games, table tennis, table football and a competition standard darts set-up. Tenants are free to spend their downtime zapping alien invaders, fulfilling their Olympian ambitions, or emulating Michael van Gerwen. “The games room is a hit with tenants, and it turns out we’re home to some pretty good ping pong and darts players. But it’s not just a frivolous addition to the services available HERE. “We’re committed to creating the best possible working environments from the bricks and mortar we transform into contemporary office buildings. We don’t just ensure that our workspaces are comfortable and efficient, we go the extra mile in including features which contribute to well-being and productivity. “It’s long been accepted that stimulating surroundings and recreational facilities support cognitive performance and creativity. In fact, only yesterday an American university study showed that staff who played video games achieved a 20% increase in productivity. The games room is just one more step in Ashville’s on-going refurbishment of the iconic building. Phase One was completed late Autumn 2018 and is now at 100% occupancy. The asset managers have commenced Phase Two, which includes over 15,000 sq. ft of new offices, new shower and changing facilities, secure, internal cycle storage and the possibility of a gym, so it looks like HERE will ultimately achieve a High Score for body and mind.